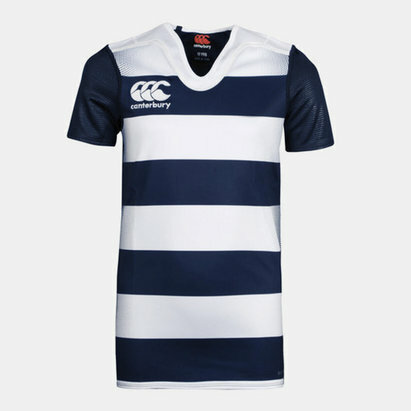 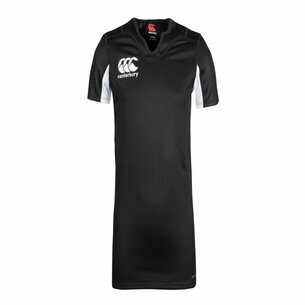 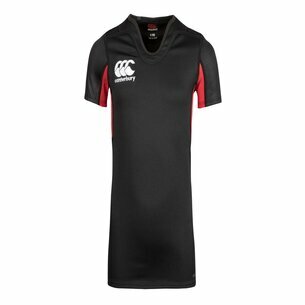 Made for your kids, this shirt is a simple and solid offering for active or leisure wear, support an authentic rugby look with Canterbury's Challenge Hooped Kids S/S Rugby Shirt. 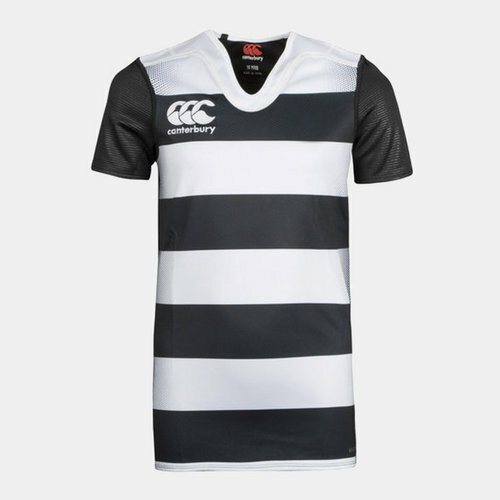 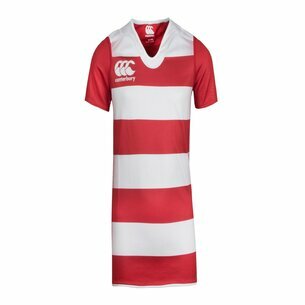 A classic rugby look is achieved courtesy of the bold black and white hoops running across the chest whilst a more solid theme is applied to the sleeves and back. 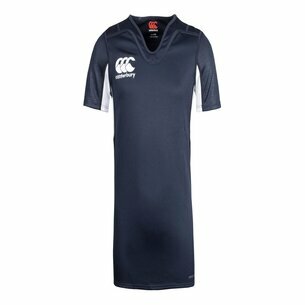 The only other addition is that of the Canterbury CCC logo stitched atop the chest.